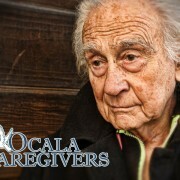 You are here: Home / All News Items / Home Care Info / Are You Considering Home Care? There are many factors to discuss and consider before deciding on home care for you or a loved one. The first step in considering home care should be a family meeting to discuss home care benefits, informal or formal, and address the issues of what is most important to the aging adult. The primary goal of this meeting should be to involve the aging adult in a process to help them identify issues and specific needs before an emergency or crisis situation develops. To be successful it is important you reassure them that you value their independence, dignity and want to work and support them to improve or maintain their quality of life. Most aging adults will want to remain in their home. Let them know in order for this to be a viable option it is important everyone understands what is important to them as far as their living situation so you can help plan for their future. Have them identify what is very important, somewhat important, or not important at all. These questions will give you a basis from which to start. If you find there is no way the aging adult will even begin to discuss issues or entertain any ideas they may need help, you may want to seek the help and advice of a trusted professional or friend who is someone your parents hold in high regard. They may be willing to accept the advice and guidance of their family physician, their religious leader, or a close family friend who has gone through this personally or with their family. Do not hesitate to use their trusted status as a means to relay your concerns and steer your loved one in the right direction. Do not take any rebuttals personally. This is not an easy process and you must keep your eye on the goal of maintaining their maximum level of independence and quality home health care they will allow you to provide as they go through the aging process. A family meeting may require a professional to be present. When family members have trouble working together or when the family is divided on a big issue, it is often helpful to have an outside neutral party to attend. There are case managers, social workers, eldercare facilitators, family mediators and ministers available to provide this service. These individuals do not make any decisions for you, they will help keep you focused on the priorities and address areas that need clarification. So how do you know what level of home care benefits may be needed? Assess the structural barriers in the home environment that may limit independent mobility. What aid or durable medical equipment will be needed or is in the home? What are the informal support systems in place- caregivers- do they live at the residence? Are they able or willing to continue to provide on-going support? 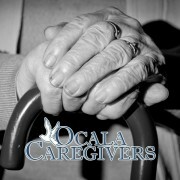 How often is caregiver assistance needed? Once a day? Several times a day? Weekly? Several times a week? What type of informal assistance is required? Assistance with bathing, dressing, toileting, meal preparation, housekeeping, laundry, shopping, telephone assistance and finances? Do they need support with socialization, companionship, recreation, etc.? Will they need power of attorney, conservator of person, health care agent? Advocate to facilitate and coordinate the aging adult’s participation in appropriate medical care? What is their present cognitive/mental status? Are they experiencing depression, confusion, anxiety? Extreme or bizarre personal hygiene habits? Do they exhibit abusive or assaultive physical or verbal behavior? Do they exhibit poor judgment or noncooperation in a way they pose a danger to self or others? There may or may not be any of these behaviors demonstrated. You must answer the question, “Does the aging adult need supervision due to cognitive impairment or poor judgment? The answer will help determine the extent of home care benefits needed. If so, does the aging adult require need for supervision?